There are freelance writers who make quite a comfortable living writing for publications, online sites and ghost writing. Once you are an established writer, you may get paid hundreds and sometimes thousands of dollars per article. If you end up writing for a site with millions of pageview per month, you would likely to earn more than if you write for your own blog…because it takes a team of writer and investment to grow a site to that size. In my previous corporate job, I write about few email communications a day and maintain my company’s intranet site. I get paid more than 10 times more in that job than by being a blogger. Not to mention I get medical benefits and paid leave. On the other hand, blogging takes real hard work. While there are those who make it big earning 6 figure income, more than 90% of bloggers would struggle just to make ends meet. If you are a freelance writer, the company who is engaging you would basically tell you what to write and provide certain outlines. You only need to follow their guide, do some research and craft out an article. READ Should a blogger be a freelancer or vice versa? Whereas if you are a blogger, you need to monitor changing trends and move along with times. Else you would be left behind. For example, the first Smartphone that I have was a Blackberry Torch. And then Note 2. I used them for mobile blogging. I have written a lot of articles related to that, which are no longer relevant now because both these models are long obsolete. As trend changes, I find myself with a site that contains a lot of articles that are no longer relevant. These articles would undermine my site’s ranking and I have to deal with them. I have migrated this blog on blogging from a previous general blog because I find it is easier to start all over than to clean up the site. This is something that a freelance writer, after delivering her article, no longer need to worry about. She gets paid and she could move on with the next assignment. Freelancers would have a simple site mainly to act as a portfolio site where they display the names of prominent clients that they have worked for. They may not even write any blog posts in that site. A freelancer who is consistent with quality and delivery would eventually be kept busy through repeat business and referrals through word-of-mouth. Hence no need to worry about overnight loss of income through changes Google algorithm or getting banned from Adsense or affiliate networks. Overall, niche blogs would fare better than a general or lifestyle blog. Unless the blogger in question is popular and have a huge following. Suppose that a freelancer has an active blog whereby she writes about articles related to freelance writing. From the blog, she has gotten a lot of potential clients who approach her directly. Now, any person would have more than one area of interest. The client require help in content writing related to an area that she has interest in. The job would act as an interesting diversion where she get to write on something she like. Because to start a blog and build it up to the level where it earns would require time and effort, something that we may not want to do for each and everything that we are interested in. 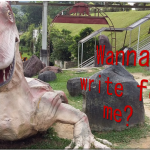 Earning direct money through writing assignments would be much easier. Even though blogging is my passion, I hardly know anyone personally who choose to go serious in the blogging route. Most of them have strong enough reasons to stick to their time jobs even though they may not be happy. Also there is so many aspects of blogging that a blogger must take care of- and most of the time, we do the stuff ourselves such as designing our site, managing the plugins, marketing our blogs and writing articles. It may not be everyone’s cup of tea. If it is not your cup of tea, don’t force yourself. However, in trying economic times, you need to find ways to generate passive income. And blogging is one of the ways to potentially that. The monetary investment for a blog is so minimal…. only merely domain name and hosting. And probably some paid plugins that does wonders. The only commodity that you need to invest a lot in is time. Which would be up to you to determine if it would be worth your while.